GLUTEN-FREE, GRAIN-FREE, DAIRY-FREE & REFINED SUGAR-FREE, SPECIFIC CARBOHYDRATE DIET (SCD) & PALEO. 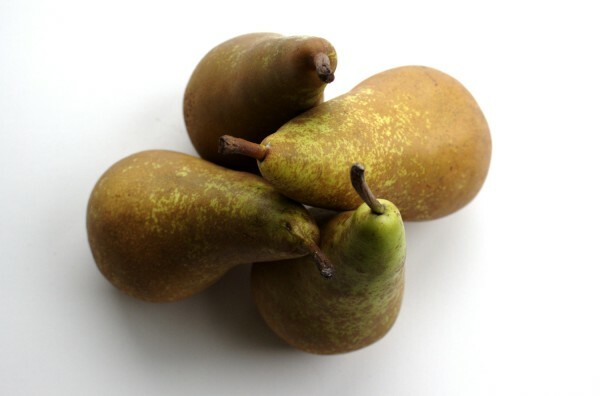 Poached pears with dairy-free “anglaise” is comfort food at it’s best. The fragrant poached pears are delicious. Paired with this dairy-free “anglaise”, they are superb. I used to have a similar dessert when I was younger and I was recently craving it so I decided to make an SCD version. It was my mother-in-law, a fantastic pastry chef who first taught me how to make an anglaise. The first time we made it was to use up some leftover egg yolks from a meringue to avoid food waste. This dairy-free version is really delicious. It tastes great served warm or cold. 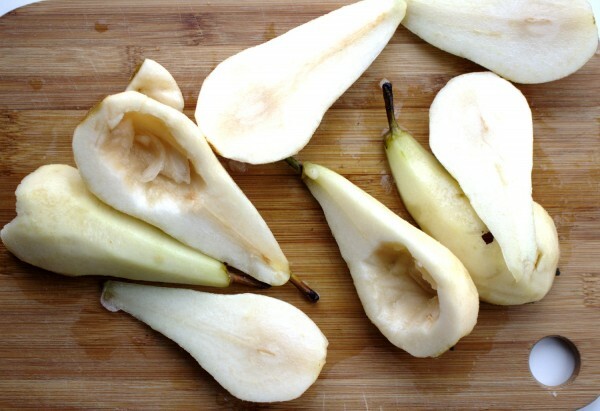 Poach the pears the day before and keep in their poaching liquid in the fridge. Then you have yourself an easy dessert the next day. 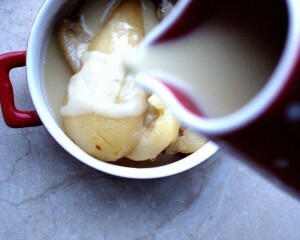 Poached Pears with Dairy-free “Anglaise” seems fancy but is really quite low maintenance. It is worth making alone for the delicious aroma that will fill your house! I like to make this if we are having friends or family over and it is always a hit. Star anise, cardamom, cloves and cinnamon – do I need to say more? These are all of my favourite things. I recently discovered a great Asian wholesale store near us where they sell spices much cheaper and better quality than the supermarket. I think I’m now possibly one of their best customers. You just can’t beat good quality pure spices. 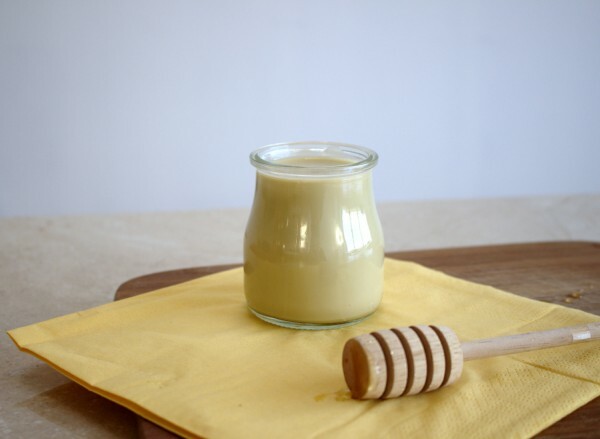 This dairy-free “anglaise” would go great with my grain-free granola as well. 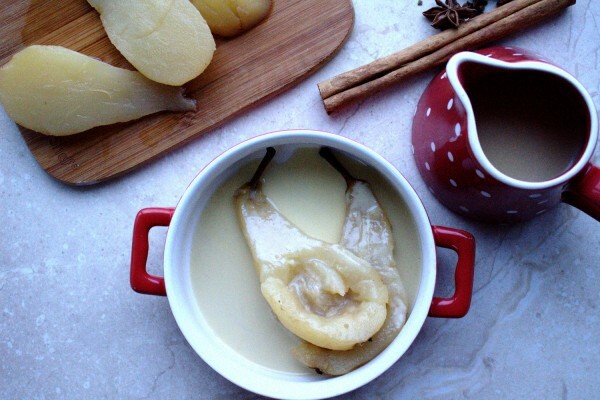 Poached Pears with Dairy-free "Anglaise"
For the pears, place the water, honey and spices in a saucepan on a medium-low heat. Bring the mixture to a boil then turn down and simmer for 5 minutes to let the flavours infuse. Peel, half and core the pears. Add the pears to the pot, cover and simmer for 30 minutes until tender. Meanwhile, make the anglaise. In a bowl beat the egg yolks and mix in the honey and vanilla. Heat the coconut milk in a small saucepan on a low heat. Gently, mix in the eggs yolk mixture, whisking constantly. Continue to stir and keep the heat low, whisking all the while for approximately 5 minutes. Don't let the mixture boil as the eggs will curdle. Remove from the heat after the 5 minutes is up. Once the pears are done, remove them using a slotted spoon. Spoon over some of the poaching liquid and then pour over some of the anglaise. Enjoy!